If you are anything like me, when you go to insert social media icons in to your blog, you start to scour the net for the perfect set that matches your style and your design. Ever since Smashing Magazine started doing “## Top Whatever’s” list posts, everyone and their mom has come out with their own version clouding up Google with the same list after list. So, every time I need to find some clean, professional looking icons to integrate into my blogs, I end up having to look through every pointless list after list for that one set that is going to work. 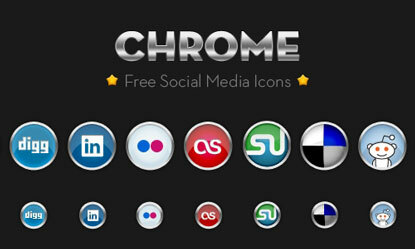 After having to do that too many times, I have decided to put together this list of social media icon sets that you can actually use in your designs as a resource for myself and you guys. No leafs, Popsicle’s or random weirdness here…just clean icons you can actually use on your blog. So here it is…the list. Click on any of the images below to download the set to use in your blog design. There you have it. 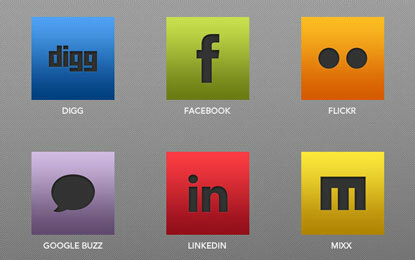 The 33 social media icon sets that you can actually use in your blog design. These clean, unique sets can integrate into your design to create higher conversions and a more custom appeal. 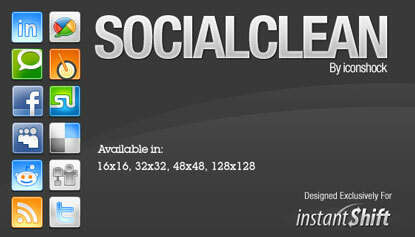 Be sure to pick a set that fits with your color scheme and feel as you look to increase your social media presence. Previous ArticleYou're Boring. Just Admit It. Very cool finds. There’s a lot that I haven’t seen before. 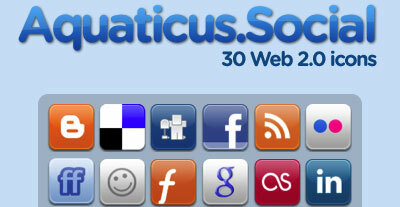 Thanks a lot for putting the effort for showing us all 33 Social Media Icons! They really look a lot better than the ones I see on many blogs! wow.. thanks man. 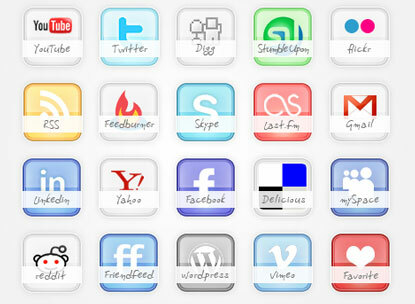 I really like the “Vector Social Media Icons by Icon Dock” going to download it. Thanks. Great work rob. Retweeted. These are awesome. I will be making some changes in the immediate future with the Glossy Ikon Set. Thanks for taking the time to put these together. 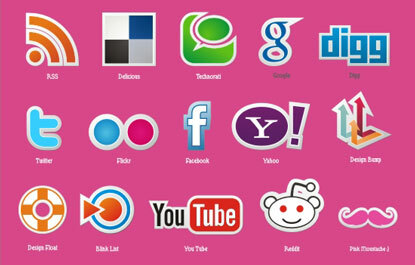 Great icons. I like the variety. 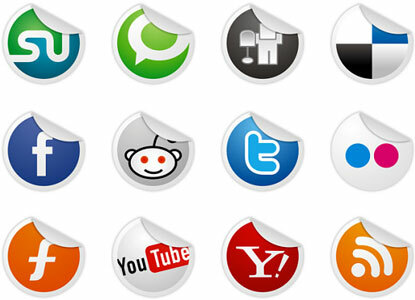 I have a question about social media icons in general; are there wordpress themes that automatically have icons like these built in? Or are they all add-ons? Just curious. I havent tried this theme yet but so far this is the only wordpress theme I found that has a few social media icons inluded in them. Thank you for the great resources. What a nice gift. Awesome stuff, Robb. Been looking for a collection of free-to-use icons for some time now. Will pass this list on to my designer buddies! This collection is massive! I love the sticker design in Socialize from Dry Icons. 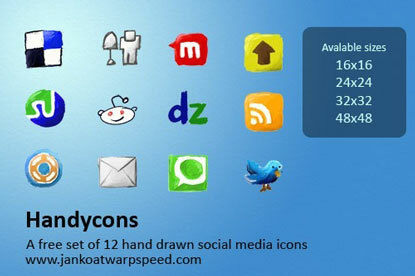 Great collection of social icon i like mac style icons.